For your next trip to Bali, consider travelling to the often overlooked North Bali where Bedugul, Lovina, and Banjar are situated. While the area is naturally quieter and more secluded compared to the central areas of Bali, there are still a plethora of things to see and do here. 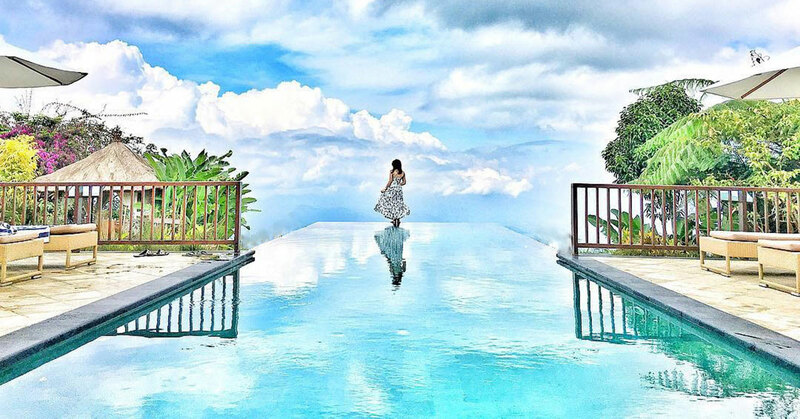 From exploring the waterfalls in North Bali, to ‘touching the clouds’ at Munduk Moding Plantation’s infinity pool – read on to find out more about North Bali! #1: You get to escape the tropical heat at Bedugul, with misty mountains serving as the picturesque backdrop to your vacation. Temperature can drop below 17°C at night! #2: Visit the black sand beach destination of North Bali – Lovina. 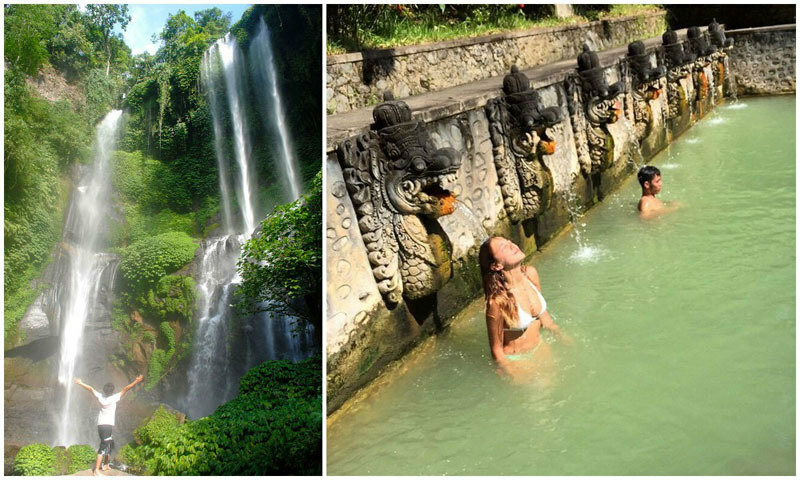 #3 Go off-the-beaten-path and visit Bali’s best waterfalls and Banjar hotsprings – where people flock here to soak in sacred spring waters flowing out of dragon mouths. 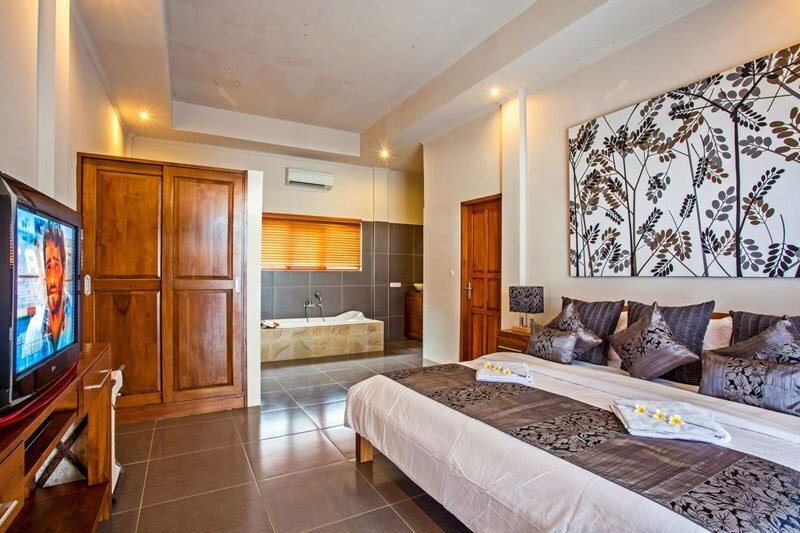 #4: It is relatively quiet and great for secluded and relaxing holidays. If you are convinced to travel there already, take a look at our complete guide below for a one-of-a-kind vacation! When should I change my money? Cabs/taxis are very rare or are almost non-existent in North Bali, and there is definitely no public transport to help you get around easily. c) Rent a bicycle and travel around on it. If you are not familiar with Bali or have little experience in driving, we strongly recommend that you hire a car with driver. Because the roads are windy and you may get into trouble as there are local rules that you may not be familiar with. 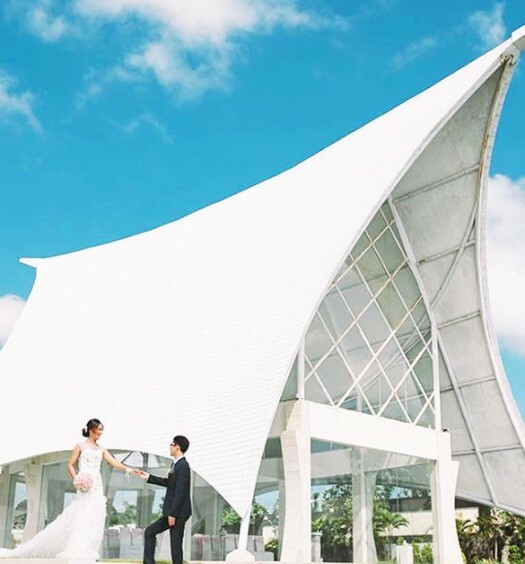 If you’ve heard of the famed pre-wedding photoshoot destination, Tamblingan Lake, which is situated in Bedugul, you should also know that Bedugul is filled with picturesque nature just like that. With misty mountains serving as the backdrop to your vacation, a trip to Bedugul will leave you feeling in awe, and at peace. Originally a project initiated by the son of Indonesia’s second president, Tommy Suharto, the construction of the Taman Rekreasi Bedugul Hotel was inexplicably halted after the terrorists’ bomb attacks in 2002. For the past 12 years, the half-completed hotel has been slowly rotting away. And even now, no one can say for sure why it is so. 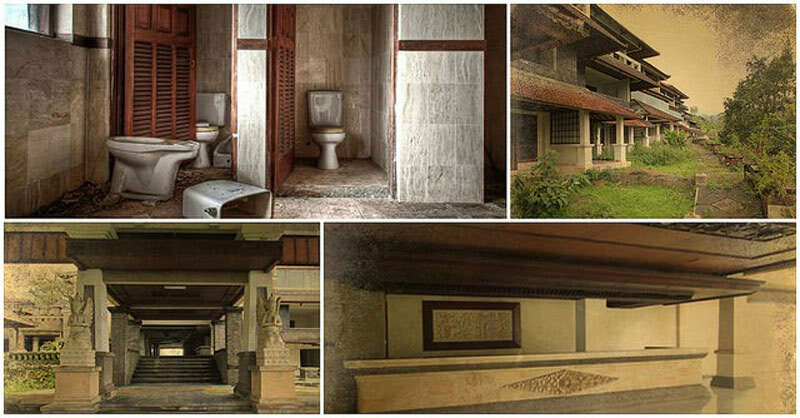 In fact, Taman Rekreasi Bedugul was almost ready for its opening day – toilets had been installed, and it’s even furnished with beds and an elegant reception area. One thing’s for sure: if the hotel has ever seen a single customer, it’s definitely not a living one. After all, it has even been dubbed as the ‘Ghost Palace Hotel’. Some daredevils have managed to explore the crumbling buildings by sneaking bribes to the caretakers of the place. No one knows what they have seen or heard though. What secrets does it hold? You can only find out if you make the trip down yourself – if you are brave enough. Getting There: You can get to the Taman Rekreasi Bedugul Hotel by driving up towards Bedugul from Kuta; it’s a one-and-a-half hour’s drive away. Some tips from us: There’s a guard living here and may not allow you in. When we were there, we told him we only wanted a photo and he asked us to take it from the outside. However, if you give him some money, he just might allow you to enter! 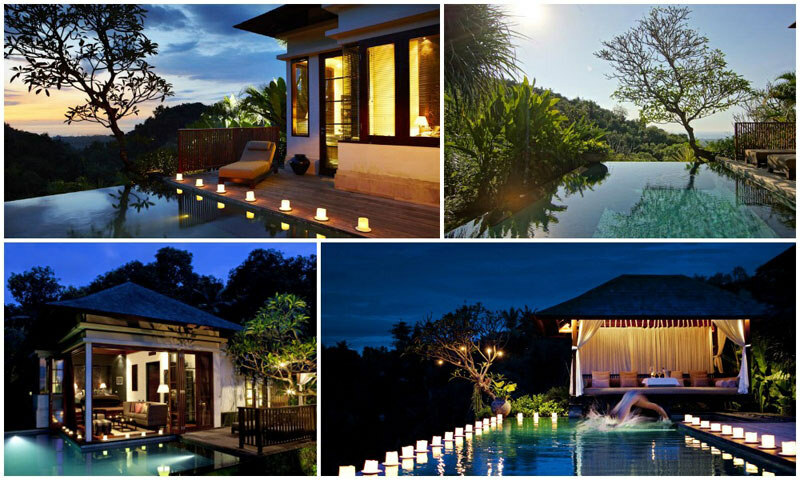 Although Bali has unquestionably stunning beach and sea views, there’s so much more than that. 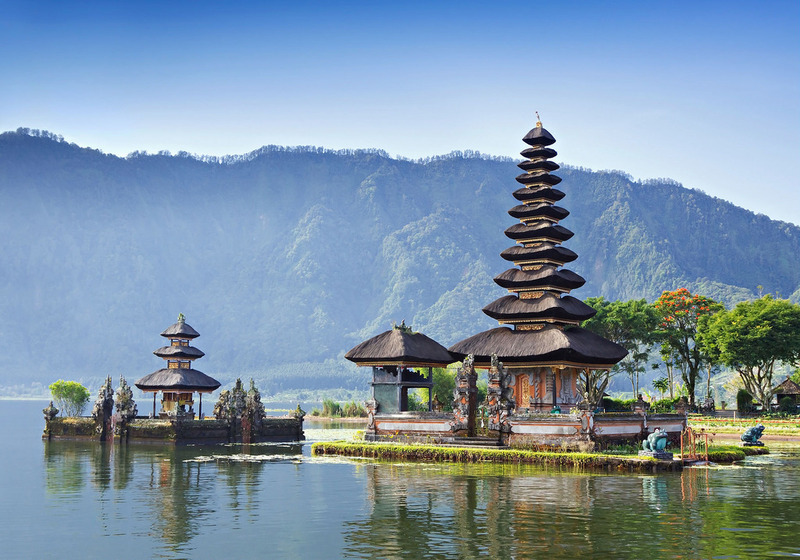 The mountainous and highlands of Bali also hold attractions you can’t miss. 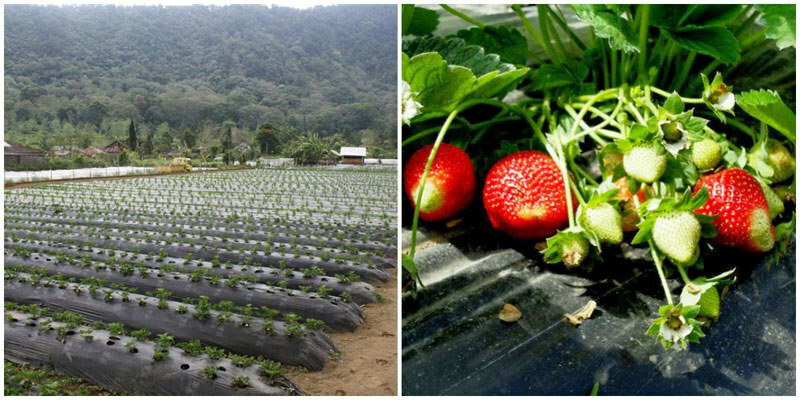 In this vast strawberry farm (one of the ‘hidden’ farms in Bali! 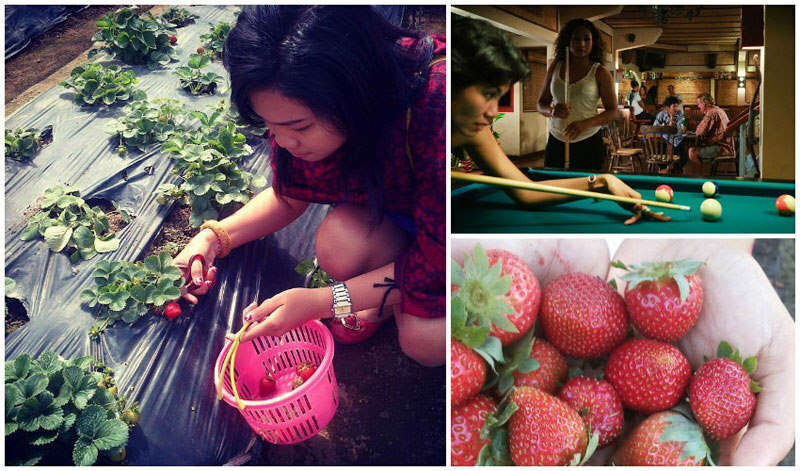 ), you are allowed to handpick the strawberries you want to bring home. And this site is not just for sight, but for your stomach as well. If you have a sweet tooth, you’ll love the restaurant, which offers great variation of strawberry-derived foods, such as strawberry milkshake, ice cream, and cakes. 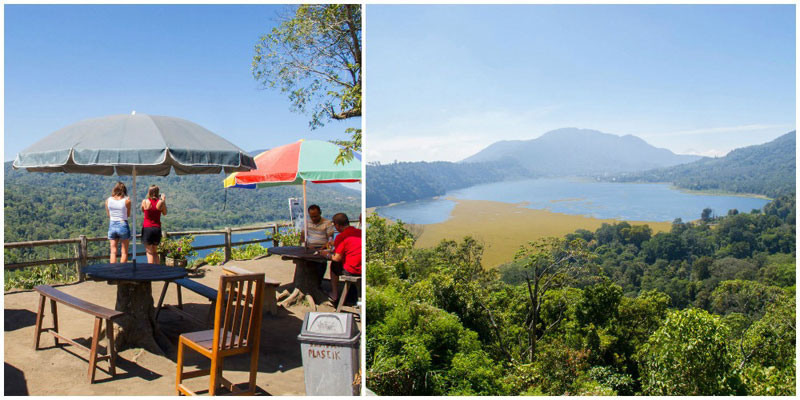 Have you heard about one of Bali’s natural attractions – the twin lakes of Tamblingan and Buyan? With their serene, mystical beauty, these twin crater lakes sit side by side, split in the middle by a one kilometer stretch of forest. The lakes are the life-source for the surrounding communities, and you may even see locals plying the waters in traditional dug-out canoes. To view both lakes together, the best vantage point is from the top of the hill at Asah Gobleg Village. 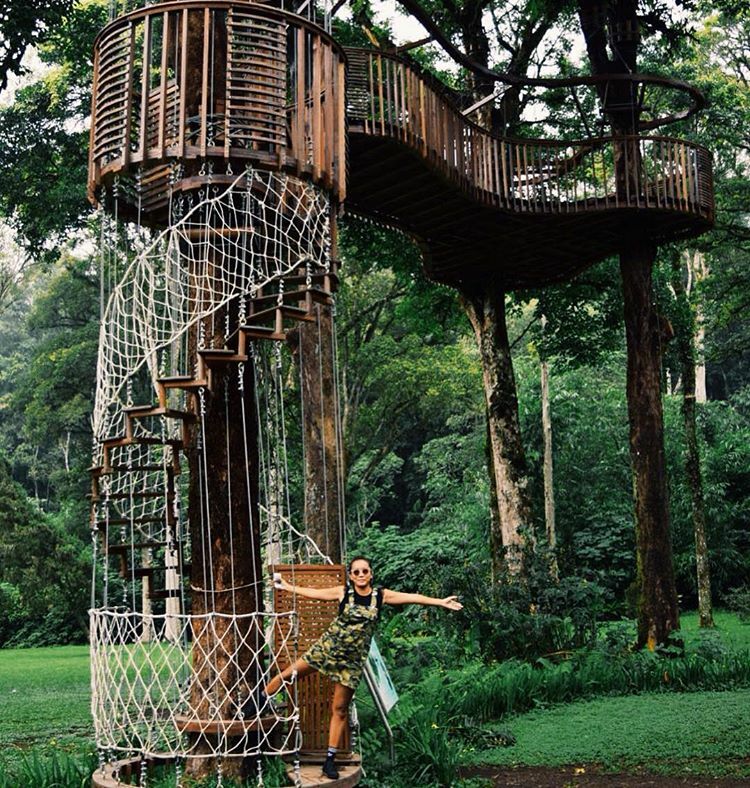 Trekking the forests around the lakes, you’ll discover some of the most pristine natural habitats in Bali – home to lively troops of monkeys, squirrels and countless birds. Getting There: A few tour companies specialising in northern Bali offer day trips with the twin lakes on their itineraries. 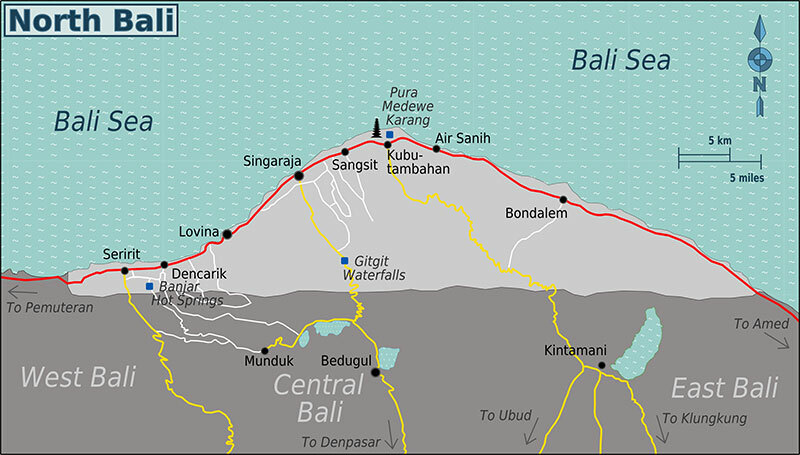 The nearest centre to the lakes is Bedugul, around a 2 hour drive from Kuta if you hire a driver or rent your own vehicle. 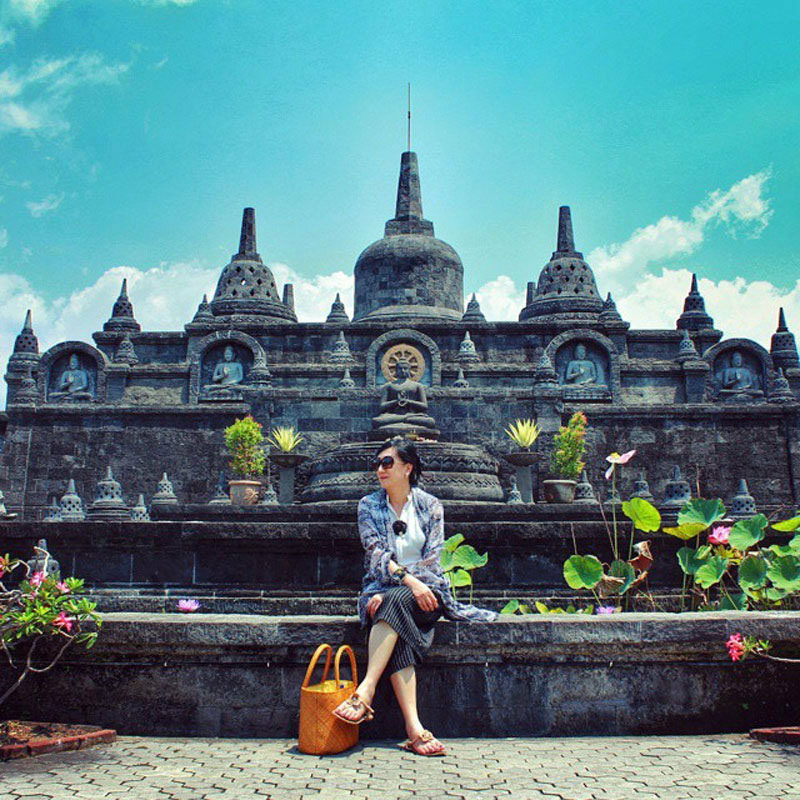 Budget travellers can hop on a bemo to Bedugul from Batubulan terminal in Denpasar. 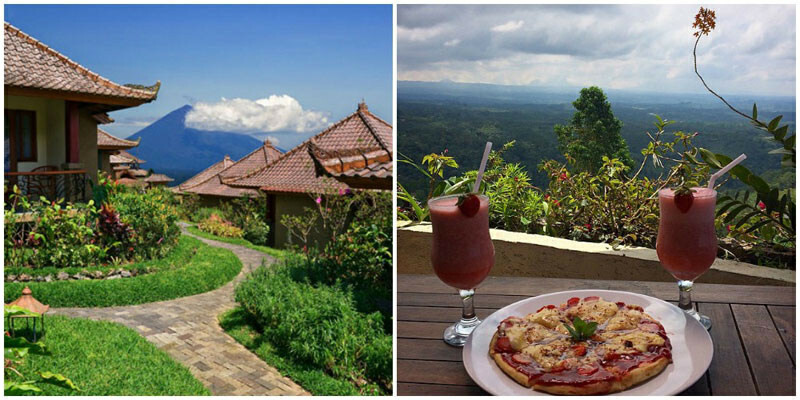 There’s a variety of places to stay and eat in Bedugul, many with gorgeous mountain and rice terrace views. Pura Ulun Danu Beratan is the second most important temple in Bali, after Pura Besakih. Dedicated to Dewi Danu, the goddess of lakes and rivers, Pura Ulun Danu Beratan is an important part of Balinese culture. Trivia: The Balinese concept of Rwa Bhineda, the balance of two opposites (or what might seem the Balinese version of Yin and Yang), Pura Ulun Danu Beratan represents the feminine, while Pura Besakih the masculine. A 40-minute drive from Ubud will take you to this enchantingly picturesque temple where you may soak in the Balinese culture in its finest. One of the most fun family activities, and the best thing for your little monkeys? A good ol’ swing through the trees! 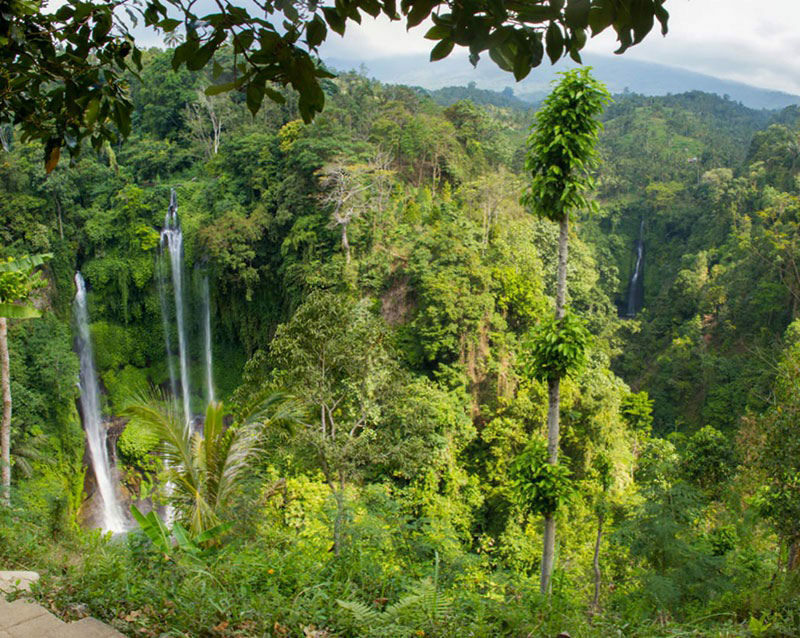 Bali is home to some of the most spectacular forests and jungles in the world – fact. Now you can enjoy the view from a whole new angle. 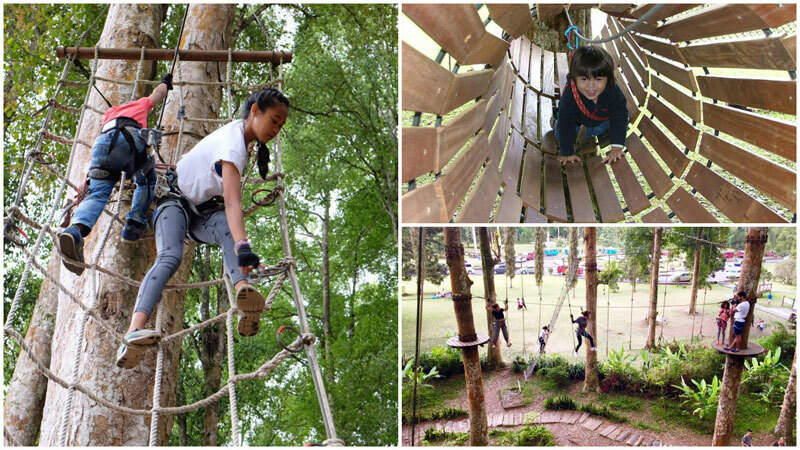 After walking under the sea, now you can walk high in the trees thanks to this exhilarating treetop adventure. With a choice of 7 circuits of varying difficulties you can decide where you want to start, and perfect your skills with a choice of 72 obstacles. Starting at just 2 metres up, you can get a feel for heights, before advancing to the more nerve-wrecking levels, up to 20 metres! You will always be attached to a safety wire, but we think that even you might hesitate on some of the challenges (we did!) – while the kids put you to shame. Just watch them scamper from tree to tree without a second thought. 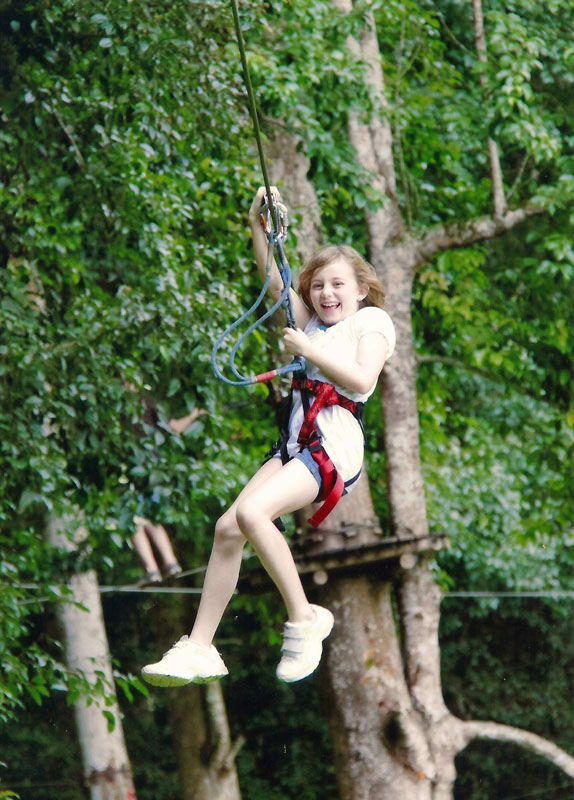 For a grand finale, the stunning scenery will literally fly by as you whizz along the 160m zipline back down to earth. The whole family will be exhausted after a day of adrenaline-filled activities, so it will be an early night for everyone. 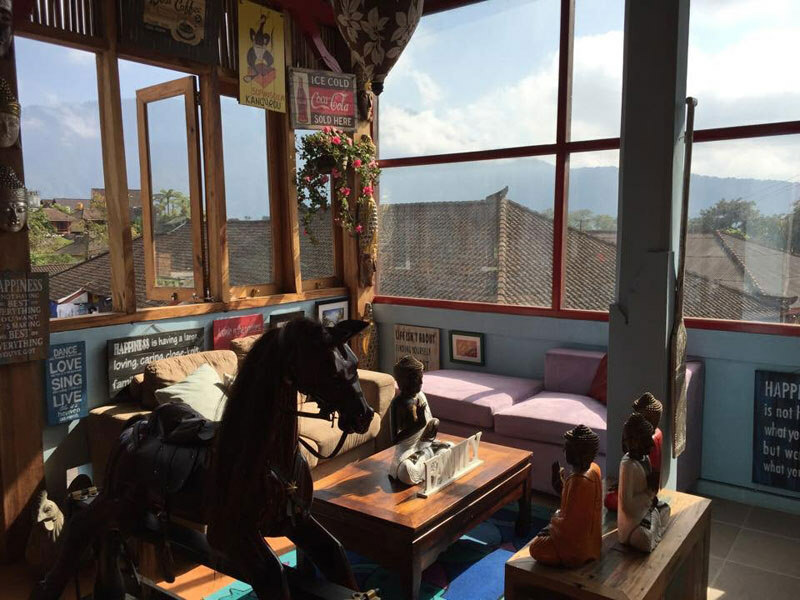 Get a dose of art and a hearty meal at Eat Drink Love, the art cafe in Bedugul. Situated behind Merta Sari market, you can choose to stroll around this traditional market before settling in at Eat Drink Love. Up on the menu? Healthy meal choices, with drinks like black milk tea. Look out of the window as you enjoy your meal, and you’ll see views of the misty mountains. Eat Drink Love also has a little shop corner where you may purchase souvenirs like paintings and other artsy trinkets. There’s even free WiFi so you may start sharing photos of your trip with friends and family back home. 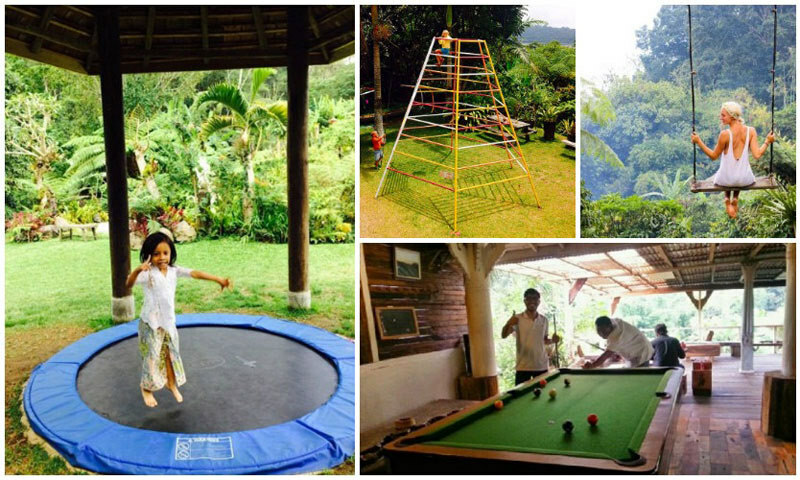 If not, simply chill out to a slow and relaxing afternoon in unexpectedly artsy surroundings in Bedugul. 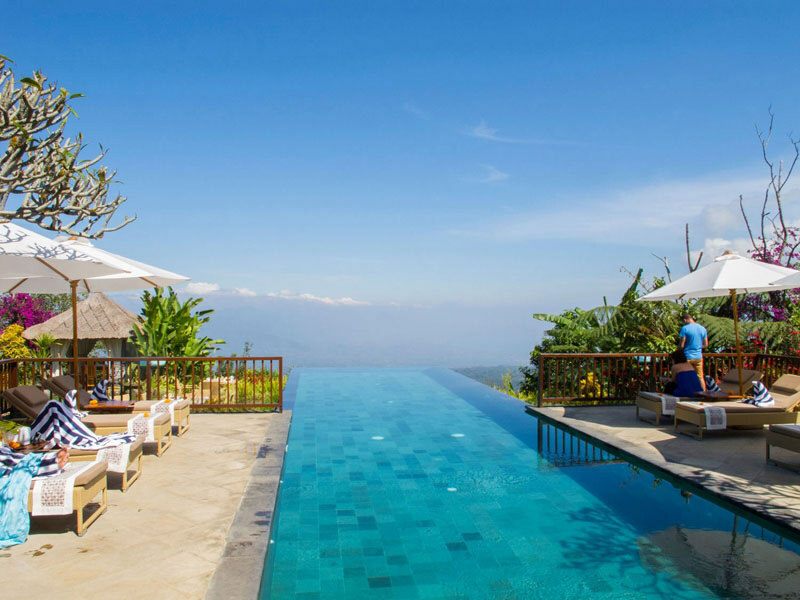 Did you know that Bali has some infinity pools that are lauded as one of the best in the world? 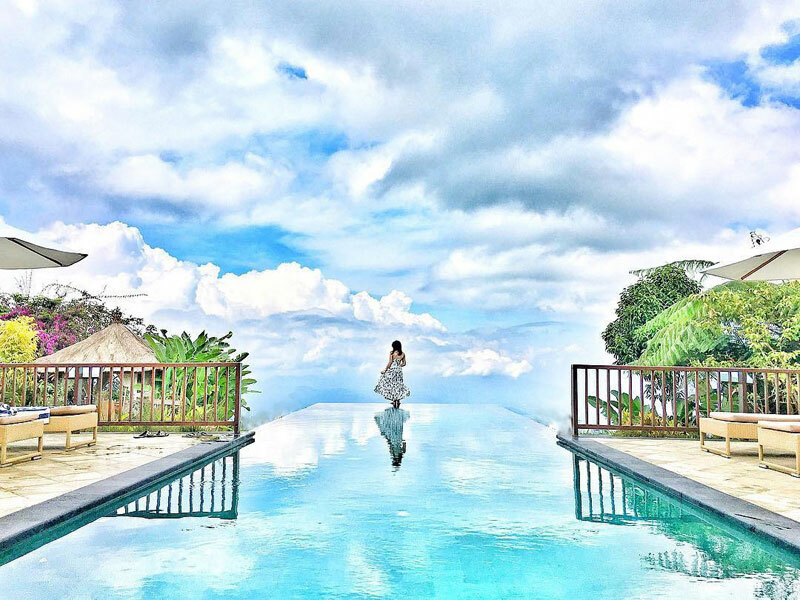 If you’re a dreamer, you will fall in love with Munduk Moding Plantation’s “pool among the clouds”. Have you always dreamed of reaching out to touch the sky? It’s no longer impossible. This villa with incredibly breathtaking views makes your sky-touching dreams (almost) come true. The pool is situated so well that when you lie on its edge, it almost feels as if you are lying amongst the clouds! At the edge of the 18-metre-long infinity pool at the Munduk Moding Plantation, you can almost feel heaven at your fingertips. Spread out in front of you is a sea of cloud, that partially shields the surrounding coffee plantation from your sight. This magic extends beyond its signature view. Designed by an award-winning Bali architect Popo Danes, the traditional Balinese interior has been dabbed with a blend of modernism in this secluded resort that only has nine villas and three suites. From your room, you can open the glass panel doors to take in the breathtaking view of the coffee plantation nestled in the lush foliage of the jungle. What better place to spend some quiet and romantic moments with your loved one? Day pass (without pool access): Rp. 500,000 (approximately USD $35.32), includes welcome drink, 2-course lunch and access to all hotel facilities except the pool. Day pass (with one hour pool access): Rp. 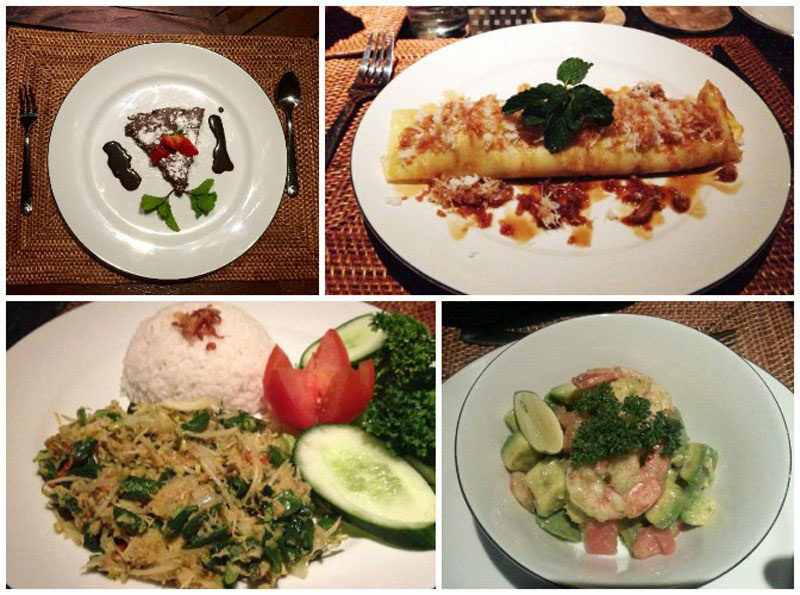 900,000 (approximately USD $63.57), includes welcome drink, 2-course lunch and access to all hotel facilities. Staying at Puri Candikuning gives you days of relaxation in a gorgeous lakeside retreat with a view that you will remember for life. 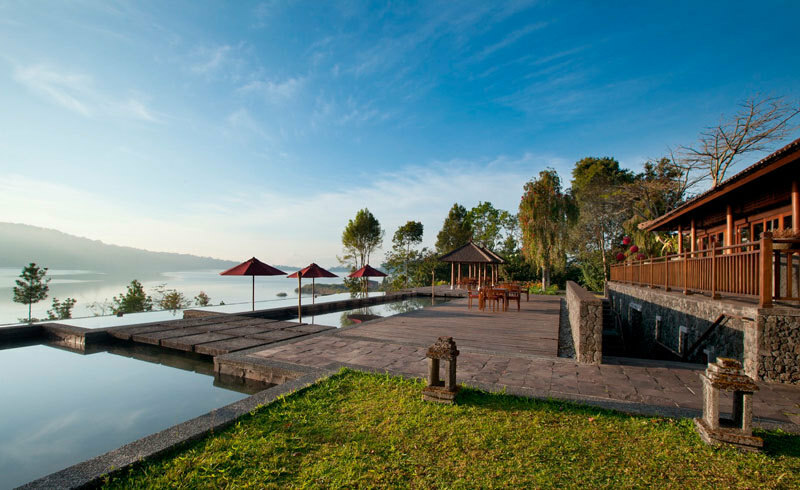 Dine at Candikuning’s restaurant with its fireplace, or sit by the infinity pool that looks out on the lake and the mountains – or go to the library lounge, karaoke room, and even play billiard, there’s quite a bit to do in Candikuning itself. If you’re the health conscious sort, there’s a jogging track encircling Candikuning, and an in-house spa with a full menu of treatments to rejuvenate you. Finally, step out and make full use of the private canoe that will take you from Candikuning, to Pura Ulun Danu. The floating temple is also within walking distance if you’d prefer to take a stroll! Candikuning reminds us of a cosy luxurious cabin up in the mountains where the simple pleasures of life are what is most important. 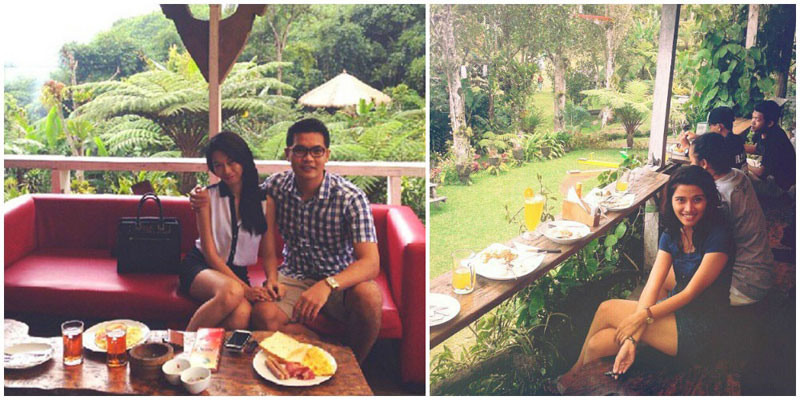 Stepping into Strawberry Hill Hotel is a cosy and intimate experience that is foreign yet familiar all at once. The views here are nothing short of stunning, and the premises are nothing short of comfortable. There are 17 cabins in total, each with welcomed amenities such as an en-suite bathroom with a tub and hot water for those heavenly soaks (especially in the chilly mountain weather!). Apart from the residence available, food is served at Strawberry Hill Restaurant where homemade Indonesian soups and other dishes are served. For easy entertainment, you may check out the library, play pool/darts, or even walk around the grounds where guests may pick strawberries from the strawberry patch! 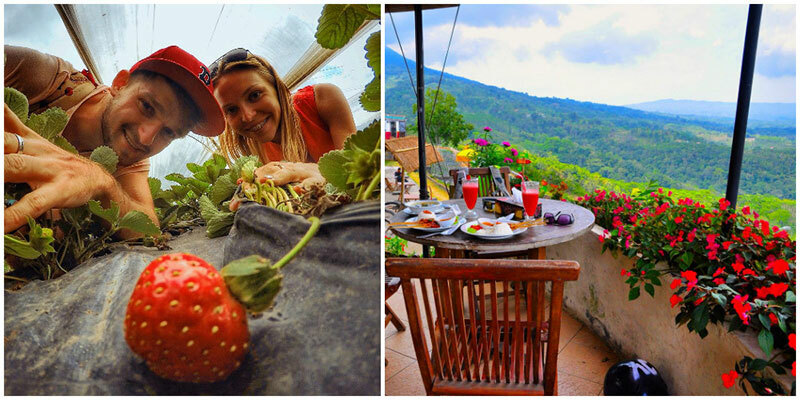 Strawberry Hill is simplicity at its best with all you really need to enjoy your time in Bedugul. PS: If you’re a golf enthusiast, there’s an 18-hole championship golf course merely a 10-minutes drive away! Nestled in North Bali, Lovina’s black sands and calm seas will enchant you. But, that’s not all! 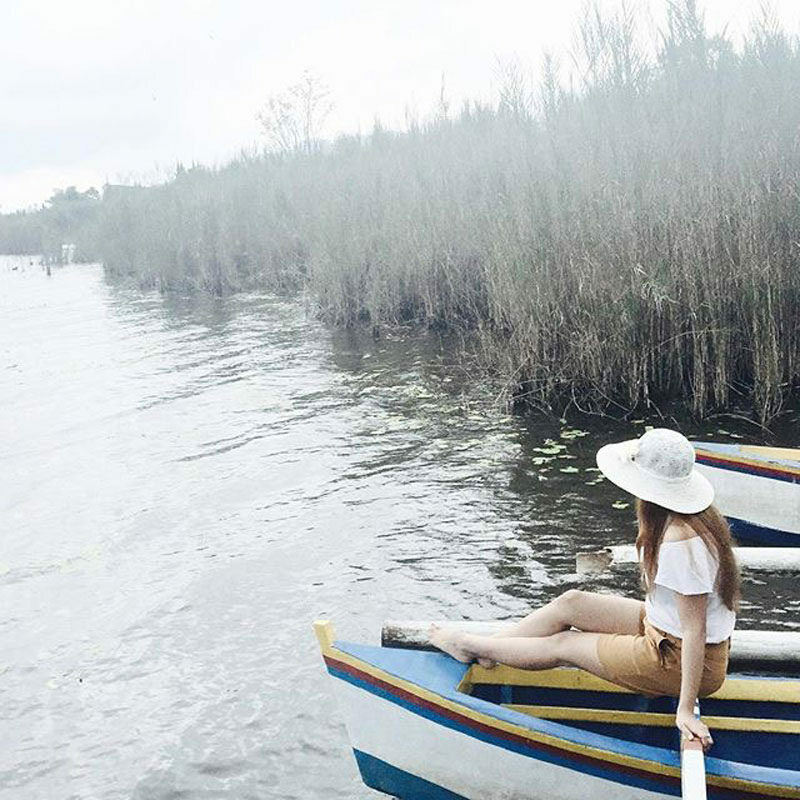 Lovina’s peaceful and friendly atmosphere is home to quite a few other unconventional experiences that truly make it the ultimate Bohemian traveler’s paradise! 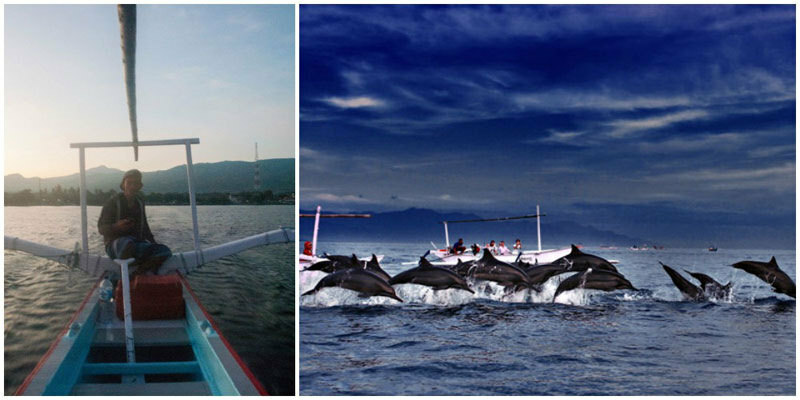 You might have heard that one of the best and most famous experiences to be had at Lovina is a dolphin-watching trip. This is how you might envision it to be: You take an early morning boat ride and get a rush of happiness while watching wild dolphins dancing along the waves. And you can enjoy the glistening of the first sunrays on the glassy blue waters and also try some fish feeding while you’re at it. However, this vision might be far from reality. Two of us have gone on one of these dolphin tours, and we were very appalled when we realised that the guide on our boat and those on other nearby boats were deliberately cornering the wild dolphins so tourists could get close up pictures with the animals! We are not saying you should not go on these tours, because if the locals lose their source of income, worse fate might even befall the animals. But we need to choose our tour operators carefully and make sure that the tour we go with treat the dolphins gently. 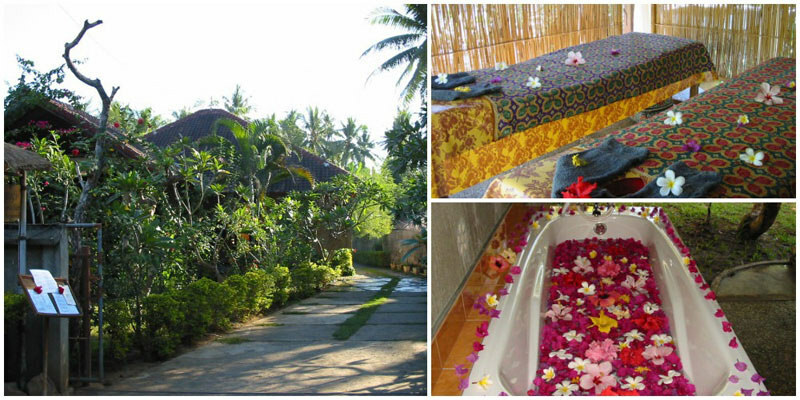 Get a traditional Balinese spa experience in the heart of nature at Agung’s! Agung’s Spa is located in the Central Lovina and they even have a pick up facility you can opt for. The atmosphere here is relaxing and homely which helps you make the best out of this spa experience. Get treated to complimentary tea in a lush garden and choose from an elaborate catalogue of treatments. The prices can be a tad bit on the higher side but the skillful and friendly staff and the dainty fragrance of the massage oils makes it worth every penny! And, just when you think it’s as good as it gets, prepared to be surprised by the cheap but pretty sarongs up for sale! Approximately 20 minutes to the west of Lovina, you will reach the diving site of Puri Jati lined by an exuberant rice field. There’s a shaded beachside facility catering to divers with facilities like showers, a café and camera baths. Puri Jati offers an extraordinary experience in “muck” diving. Here you won’t find the regular attractions like corals but you can encounter rare sea creatures. If you are lucky you can even catch the mimic octopus! 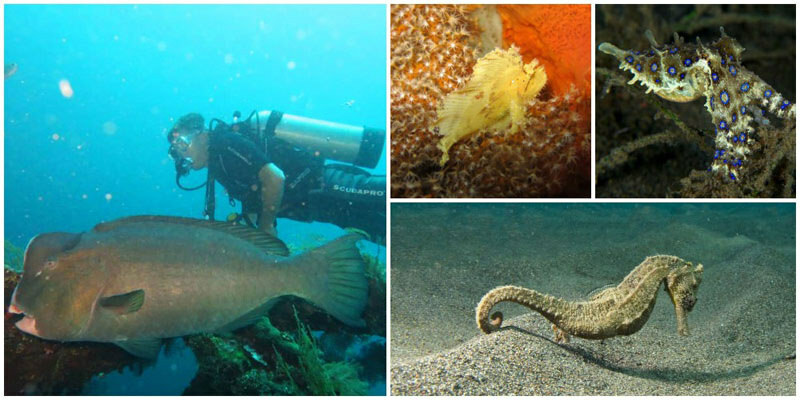 Indulge in your underwater photography passion as much as you like – the site is perfect for macro photography! There are a few diving centers like Arrows Diving Center and Zen Dive Resort where you can learn some of the ropes of diving. Make sure to explore all you can as this place has a lot of hidden surprises for those who are seeking them! Providing hillside views and some say great sate, Buda Bakery not only serves up baked goodies but hearty food too. 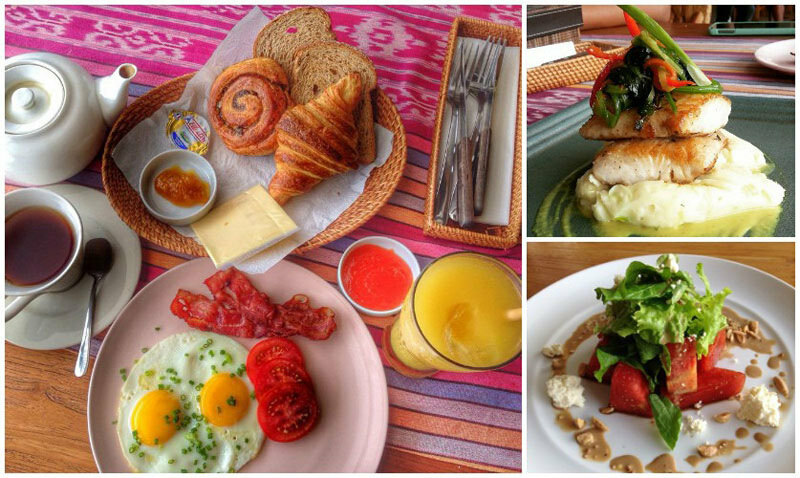 With so many people raving about them, we definitely had to add Buda Bakery into our North Bali guide. 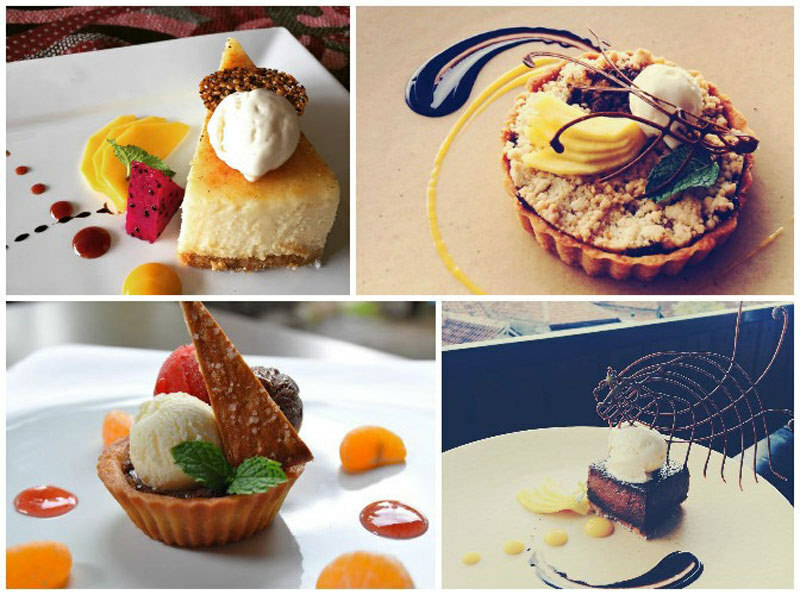 Accordingly, the desserts are so good, they’re addictive – once you go, you’ll want to return again, and again. Apart from the great desserts and good food, vegetarians will be happy to know that Buda Bakery is also vegetarian-friendly with equally good vegetarian dishes. Its clean and humble settings will also make you feel right at home, as you dig in at Buda Bakery! 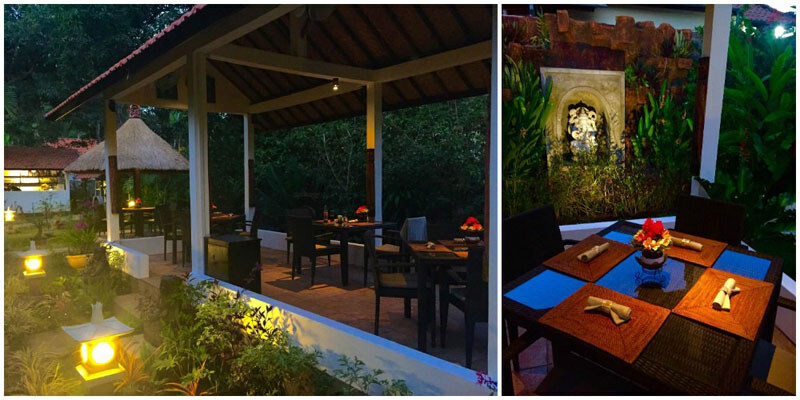 Intimate and romantic, Secret Garden Restaurant is unexpectedly elegant for a little resto tucked in a small corner of Lovina. With menu options like Avocado & Shrimp Salad, Fresh Seafood Soup, Seafood Curry, and Indonesia dishes like Sate, the food here is not only affordable, but is superb and delivered with love. There are even desserts to top off your meal like Banana Cream with chocolate sauce (so decadent! ), and Ginger/Honey Fruit Salad. If you do intend to pay them a visit, do note that they provide free pickup service in Lovina! 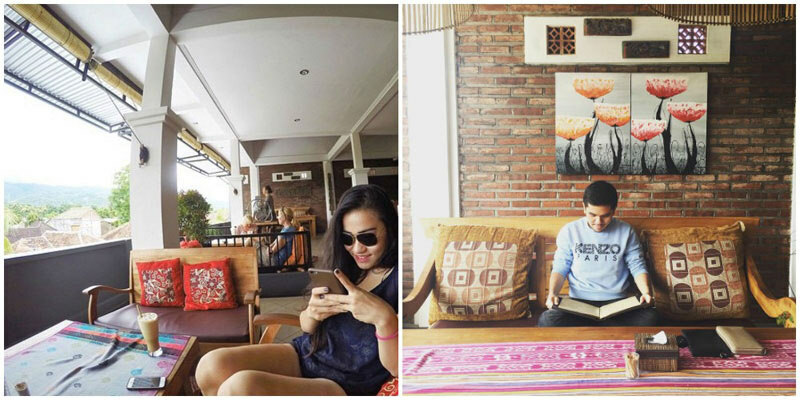 One out of the few outstanding stays at Lovina, this particular one is both good on the wallet and beautifully decorated with many amenities. Another good thing about Villa Agung are Gus and Sandi, hosts at the inn. Feel free to ask them for advice on activities or if you need help – they’ll make you feel right at home. 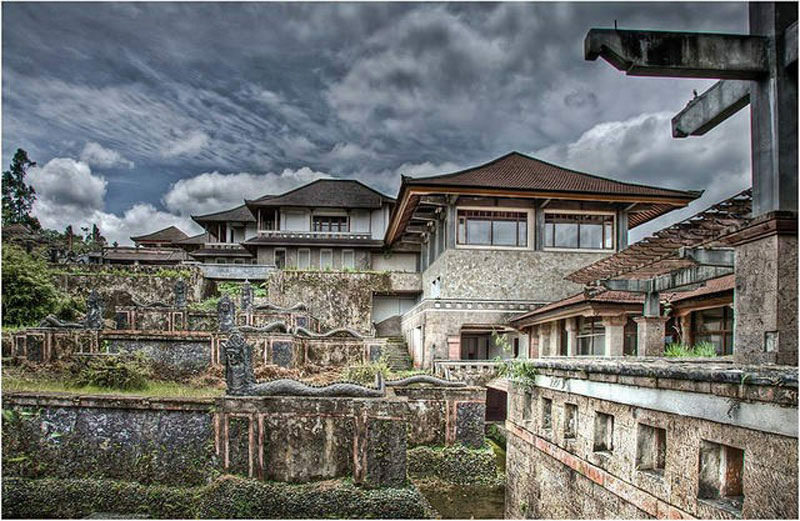 At the Lovina resort on Bali’s north coast, you can experience how Bali used to be like before the flood of tourism hit. 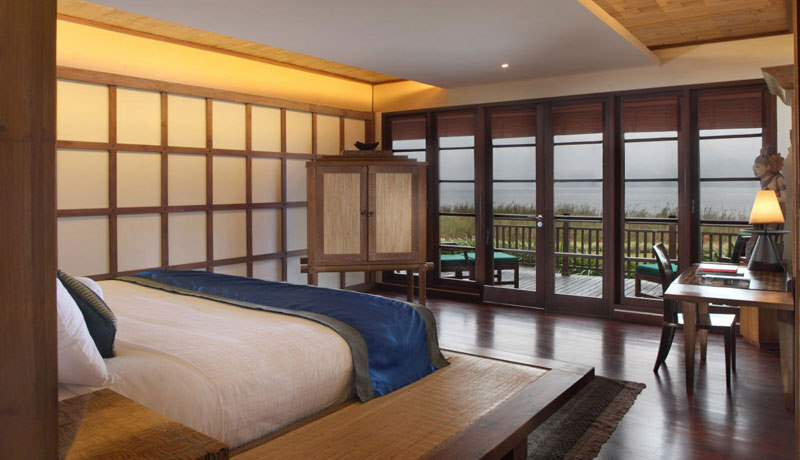 This luxuriously unique beachfront property, backed by the lush green mountains of Bedugul, has rooms, suites and villas to suit every taste. But what this area is famed for is its magical creatures – dolphins. Dolphins feed, live and migrate up and down the coast of Lovina, and many do so right in front of the beach at the Lovina resort. These majestic and wild creatures flourish in the rich tropical waters, and are often spotted from the beach or on one of the hotel’s dolphin tours, where pods of up to 100 have been seen. 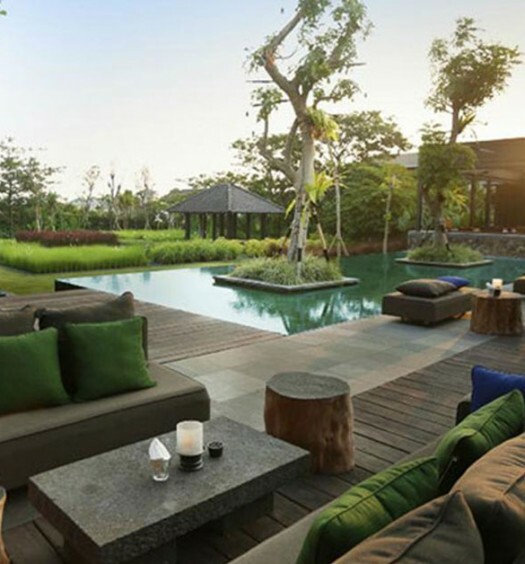 Lounge by your private pool while enjoying a view of volcanoes in distant Java? To that we say, amen! The Damai is pretty much where one can get away from the hustle bustle of Bali, and rest your weary selves in the peaceful serenity of Lovina. ‘Hard to find. Hard to Leave’ is The Damai’s slogan, and we agree. 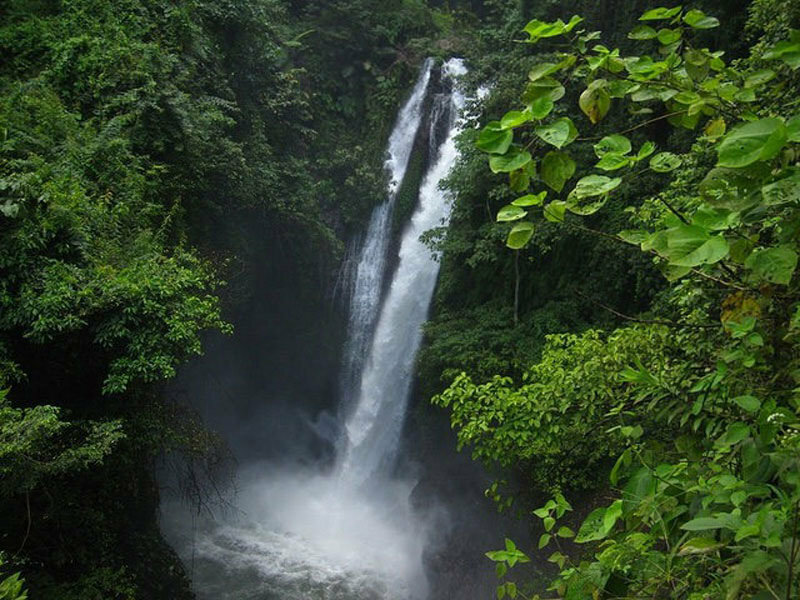 It’s also the perfect starting point for you to begin your adventure stumbling on hidden gems like the Ambengan Waterfall. Best known for the Banjar hotsprings where people soak in water flowing out of dragon mouths, Banjar is one of those places where you can look to, to find your ‘zen’. 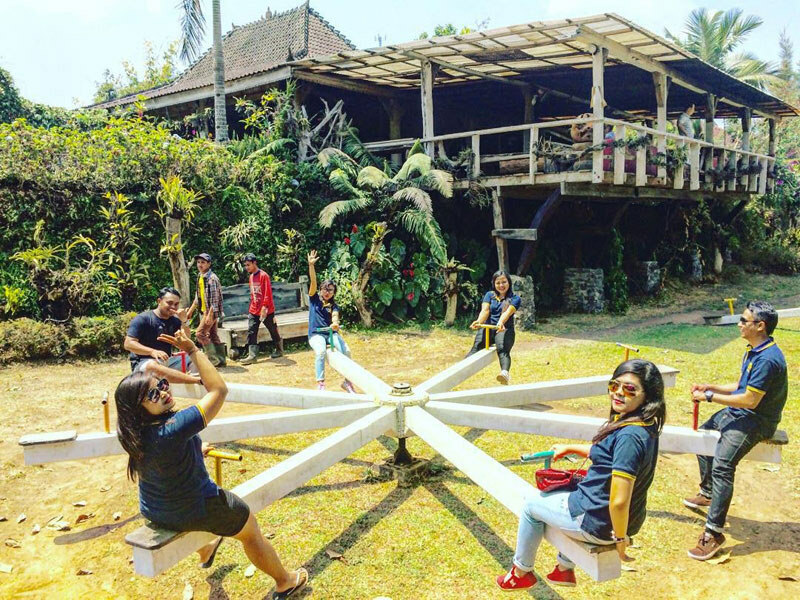 Notably, at Banjar, there are similarly things to do that will refresh not only your body, but your mind and spirit too, such as a meditation retreat at Brahma Vihara Arama! Take a meditation retreat and heal your soul in this Buddhist Monastery. 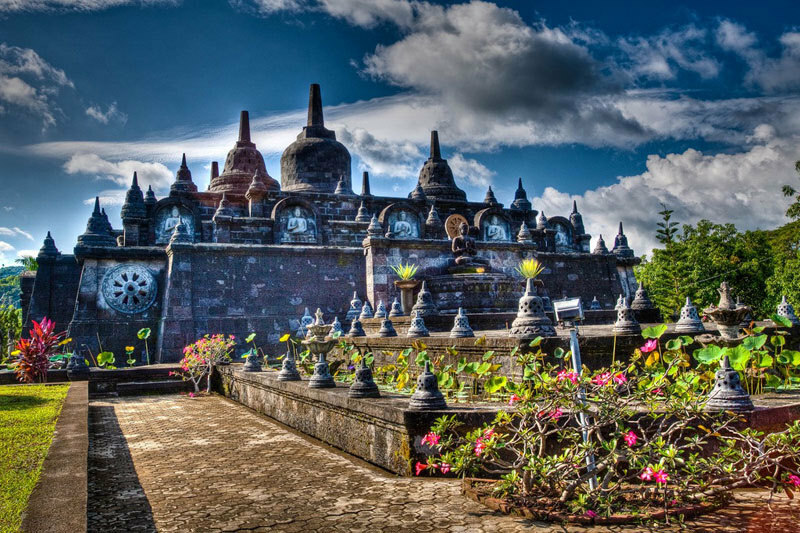 Bramha Vihara Arama in Banjar is the largest Buddhist temple and the most scenically located. 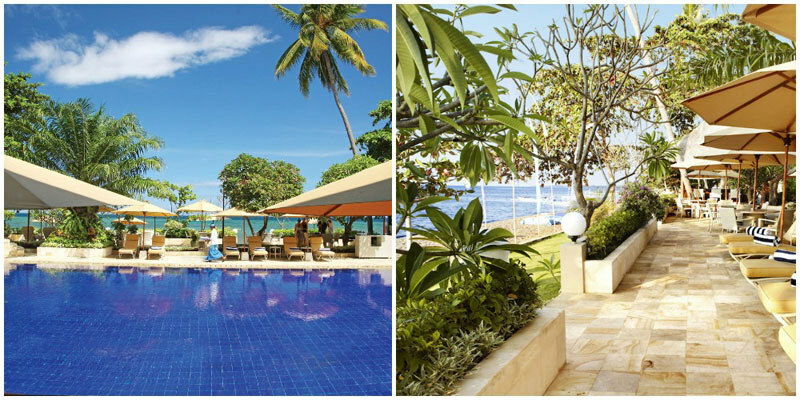 Slip into a sarong and immerse yourself in the serenity. Look for your inner peace and feel spiritually connected on intense Vipasanna retreats or just make a short trip to learn appreciate its beauty. Entry is free but donations are accepted. And you can even enjoy a hearty meal cooked by the staff! Even just walking around the temple and reveling in the exquisite architecture of the pagodas are a good deal. Overlooking Lovina, amidst the green hilly slopes and exuberant gardens lie the historical Banjar Hot Springs. Dip into the perfectly soothing waters at 37 degree Celsius, ideal for healing and relieving muscle pains and bringing out that glow in the skin! 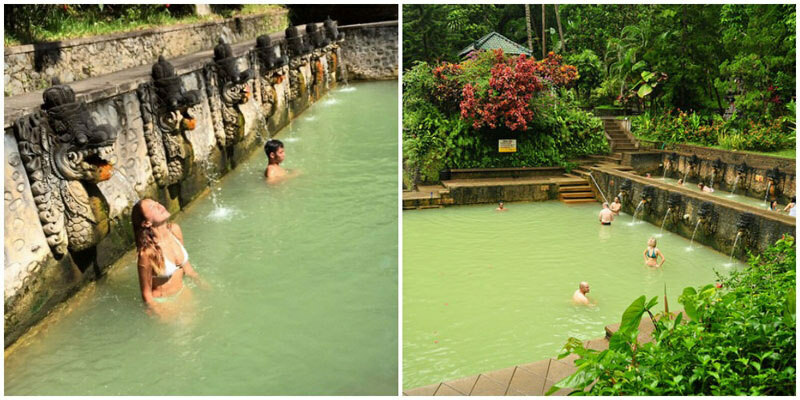 It’s definitely one of the best hot springs in Bali and the most pleasing too! The water dispensed from carved out dragon mouths makes it a rare hot spring experience too. But be careful as it can get too crowded. We’d say mornings and night times are the best times to go. 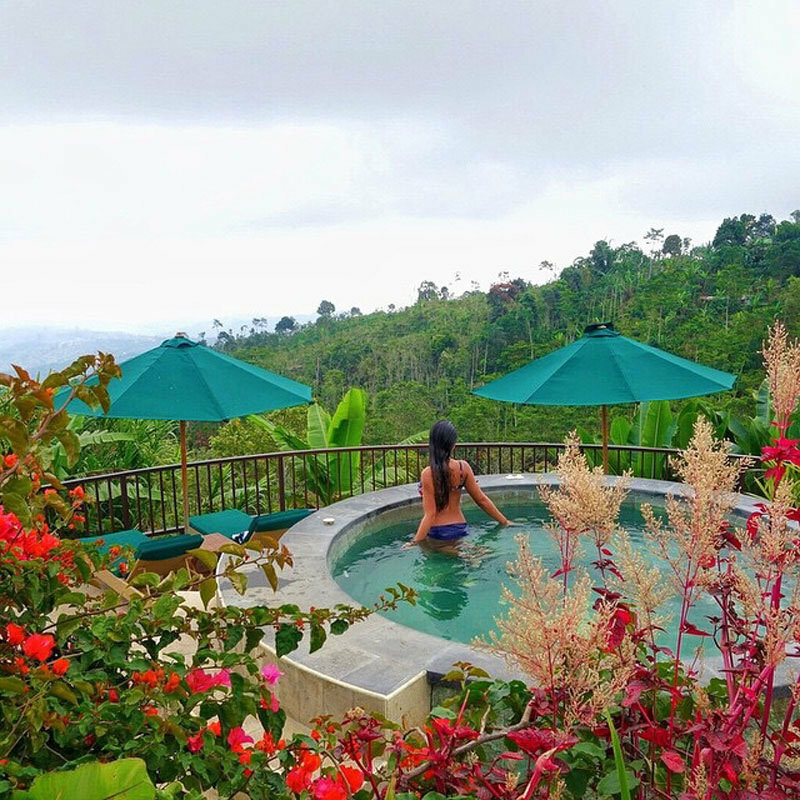 Tips: Best time to visit the Banjar hot springs is early in the morning (before 10am), before it starts to get crowded with both local people and tourists. This is not an easy waterfall to find, but it will be well worth your effort. The sight of this twin beauty can be overwhelming, as you take in the gush of uninterrupted water pouring against the steep cascading rocks. Absorb the thunderous sounds among the rich green plants, trees and ravine around you while taking a cool dip in its freshwater. All you need to do next? Simply aim with your waterproof camera – focus on framing both twins of Banyumala in your shot for the most magnificent results to bring home. 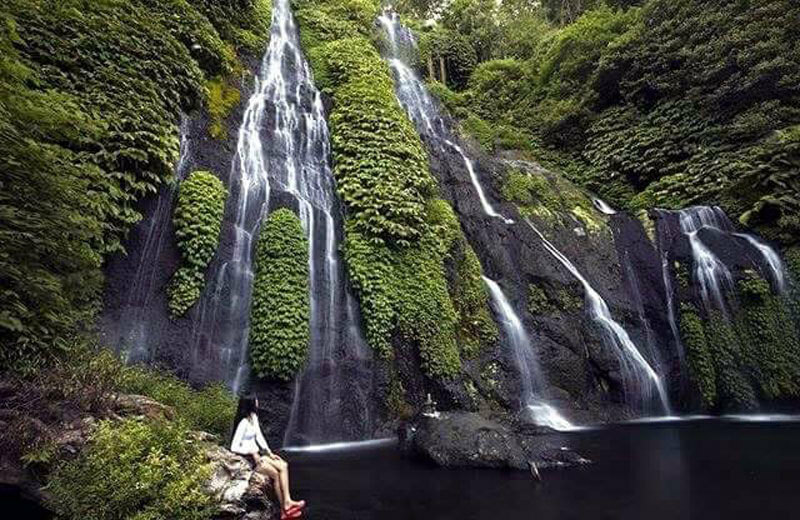 Located in Wanagiri district near Lake Buyan, we definitely recommend getting a local who knows his way around this remote area to guide you here! If you are really adventurous, here’s your chance at trying out another challenge: Sekumpul Waterfall. It’s not entirely unknown, but its inaccessibility renders it to be hidden from many visitors. Getting to the waterfall is very difficult, and you must travel down many slippery steps and across a river to see the falls close-up. You can ask people to take you to the waterfall for a little of money and they will take you until the end of the road where from here you can walk around 50m to find out the most beautiful views from high ground. But what’s interesting about Sekumpul Waterfall is that instead of one waterfall, there are seven! (“sekumpul” means “group” in Indonesian) These are all scattered around the area, with the tallest being more than 50 metres high. Important: At the entrance, there will be a group of people beside the booth asking you to take their tour for 200,000 Rupiah (USD 14), and they will claim that it’s compulsory. Do NOT fall for this scam. The route leading into the Sekumpul waterfall is quite well maintained and you can walk by yourself. Although there are 2-3 junctions, but you can ask the locals for direction. Trust us, you won’t get lost in there. 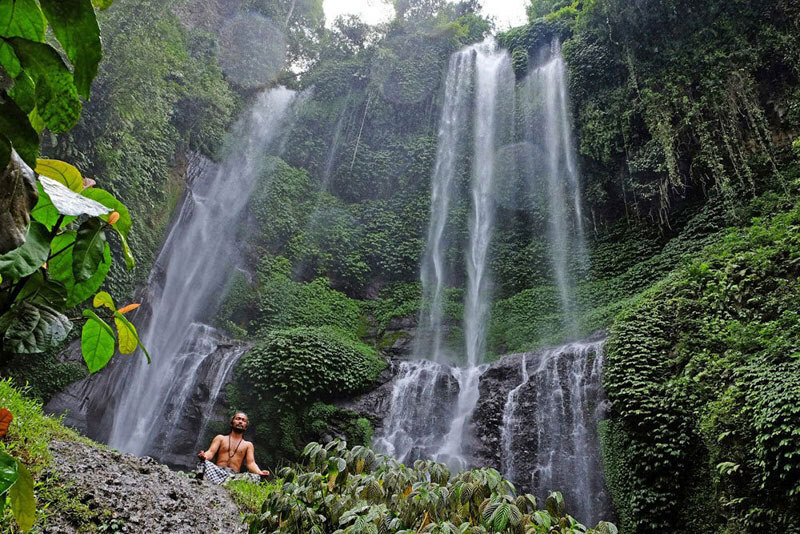 The Aling-Aling Waterfall is just 11km from the city of Singaraja, around 80km from Denpasar. 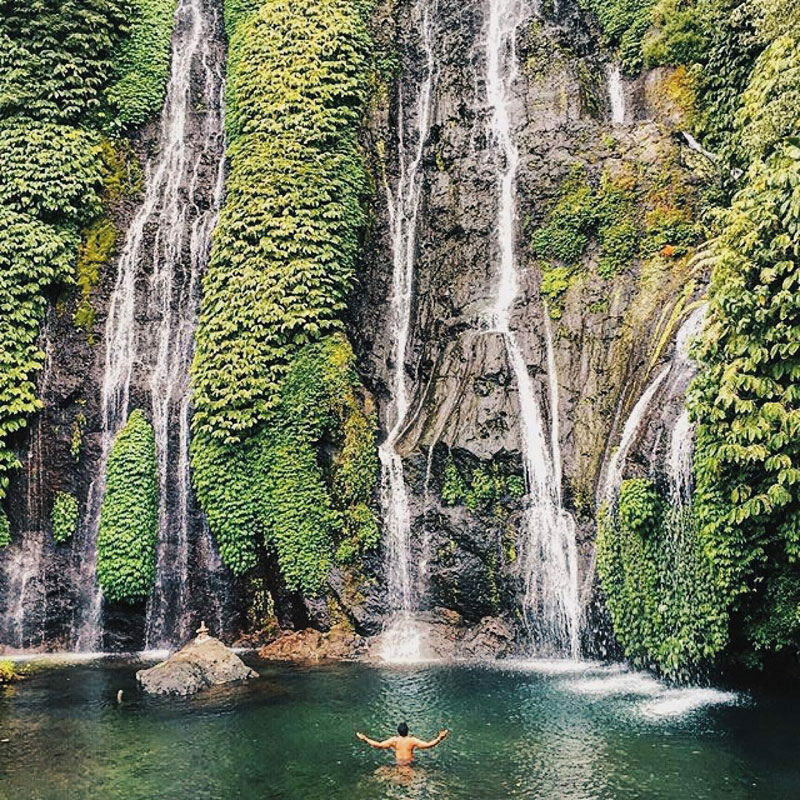 And it’s unique for a very special reason – the 35-metre tall Aling-Aling Waterfall is split at the top, leaving two streams that fall at completely different speed. But don’t believe the photographs alone. Take the long, steep walk down to the falls yourself, and admire it up close! What’s the most unique thing about this waterfall that sets it apart from the rest? The water flowing down has slowly created a natural water slide. 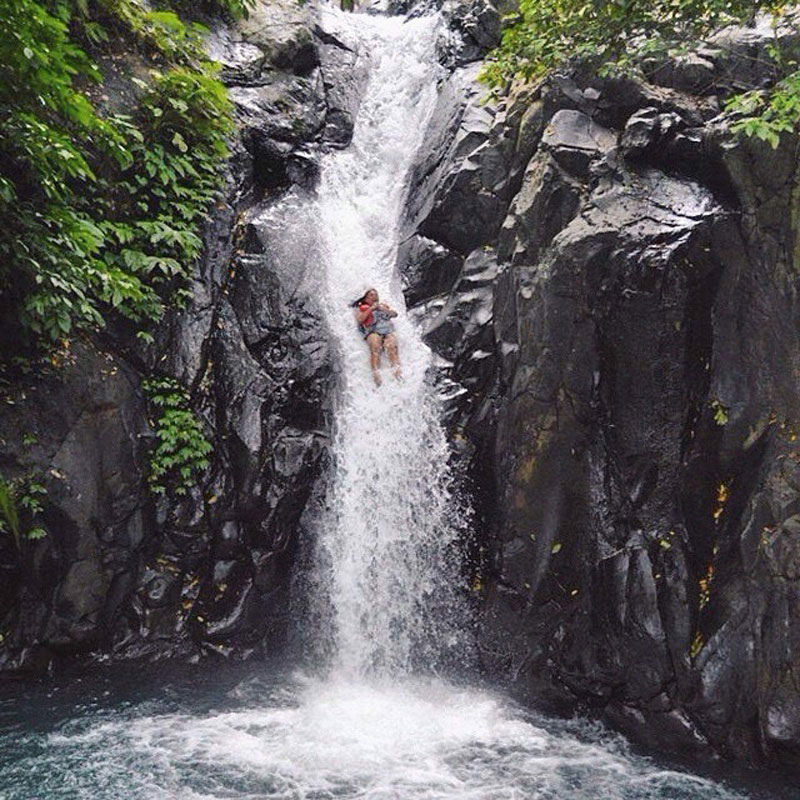 If you’ve ever thought how great it would be to slide down a waterfall, Aling-Aling is your fantasy come true. a. How long should I stay? Depending on what you want to do, we recommend staying 2 to 4 days. 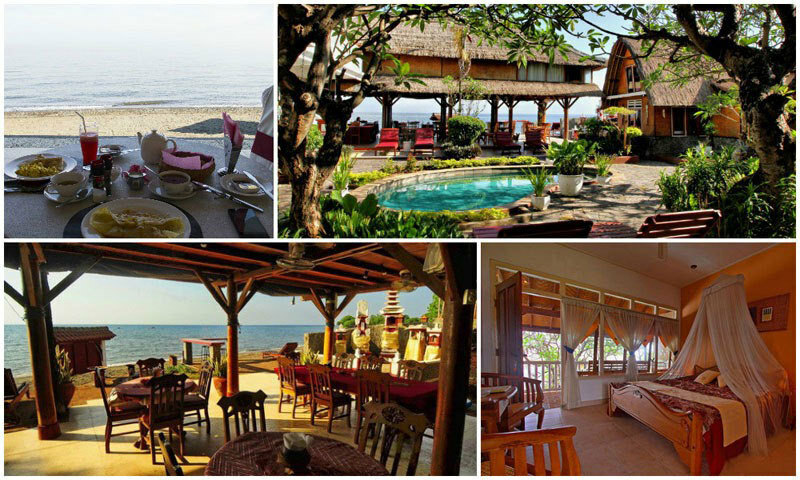 If you only intend to go dolphin-watching at Lovina, then stay 1 night. If you plan to explore Bedugul or Banjar, spend another 1 to 2 nights there, depending on the time needed for your exploration (or relaxation). Dolphin-watching in Lovina begins really early in the morning. It would be good to stay overnight at Lovina instead of taking a day trip, so you can be up early to catch the dolphins. We highly recommend choosing an ethical and responsible tour operator that treats the wild dolphins gently and dooesn’t chase the animals (for the sake of tourists’ photos). As the boat will set off at 5.30am (sunrise is at 6am! ), be sure to wake up by 5am. When driving from Lovina to Bedugul, the road is really steep, so make sure you are really careful. Rookie drivers should refrain from driving, as it is really dangerous. Be sure to have good transport (a sturdy vehicle) and a good driver instead. It’s pretty chilly in Bedugul, so be sure to bring a sweater or warm clothes. e. When should I change my money? It is advisable to have your money changed at reliable money changers at central areas like Seminyak, before heading to North Bali. Excited about your trip to North Bali yet? We sure are! Drop us a message below and let us know which part of North Bali you want to visit most!